Next time you need to meet with a staff member or two consider a walking meeting. Dr. Ted Eytan, Medical Director of the Kaiser Permanente Center for Total Health suggests several advantages to walking meetings. 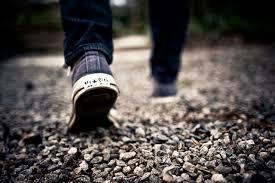 From a neurochemical perspective our brains are more relaxed when we walk. Research indicates we are also more creative when we're walking. Dr. Eytan also suggests walking meetings increase employee engagement because they break down barriers between supervisors and staff.